My mom has a thing for libraries. Ever since I can remember, the library has been presented to me as a much-frequented and much-adored building of worship. Whenever we traveled to another town, my mom gravitated toward the local library. Whenever there was a rainy day during my childhood (or a sunny one, or a snowy one, or a partly-cloudy one) my brother and I were often toted along toward…you guessed it…the library. I guess all that library-loved rubbed off onto me, because I was an avid reader from an early age. During our library visits my mom would find five-year-old me hidden away at the end of an aisle, legs splayed out in front of me as I flipped through book after book after book. Some of my most favorite children’s books were the Laura Ingalls Wilder stories. I can still remember their colorful gingham covers, the paperbacks soft and smooth on my small lap. I read all about Laura and her family living in the big woods of Wisconsin, moving to the wide-open prairie, and having all sorts of pioneer adventures. I was enthralled with the idea of riding in a covered wagon, churning butter by hand, and having only one bath a week! And of course, I loved their good old bulldog, Jack. Christmas in the Big Woods was possibly my most treasured Laura Ingalls Wilder book. I was as much a Christmas fanatic as a book fanatic, and I must have read that story a thousand times. The doll I received as a Christmas present in 1999 was named Charlotte after Laura’s own Christmas doll. I remember being disappointed that my candy canes weren’t straight and rectangular like the old-fashioned “peppermint sticks” in the book, and I used my own thimble to trace “frost pictures” on the window just like Laura and her sister, Mary. I was also entranced with the idea of the molasses candy depicted in the book. “Pa” would bring in a giant tub of snow from outside, and the girls would heat up molasses and pour it onto the cold snow to make beautiful, edible shapes. Since then, molasses has been a very “pioneer-y” ingredient to me. In a large bowl, cream together the butter (or shortening) and sugar until light and fluffy. Beat in the molasses and egg, scraping down the sides as needed. In a separate bowl, whisk together the flour, baking soda, spices, and salt. Stir the dry ingredients into the wet, mixing just until combined. Cover the dough and chill for at least an hour. Preheat oven to 375 degrees F. Line two cookie sheets; set aside. Roll the dough into tablespoon-sized balls and coat with granulated sugar. Place 3 inches apart on prepared baking sheets. 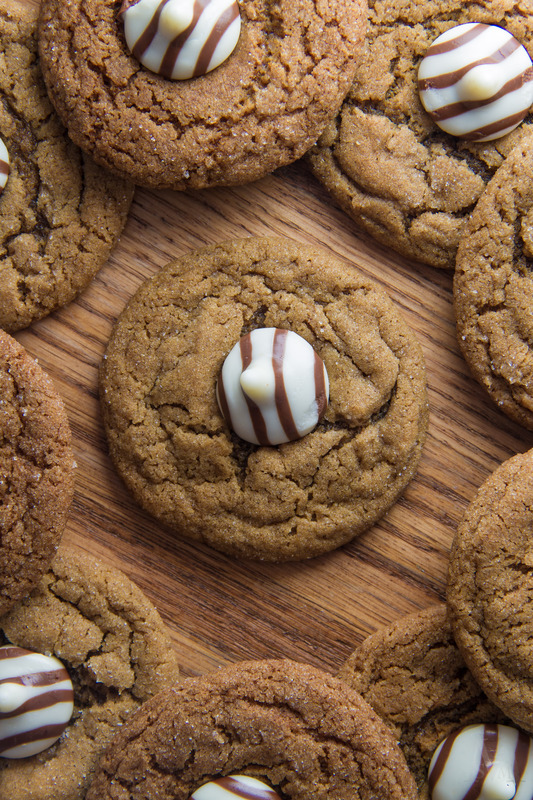 Bake the cookies for 10-12 minutes or until the tops are set. 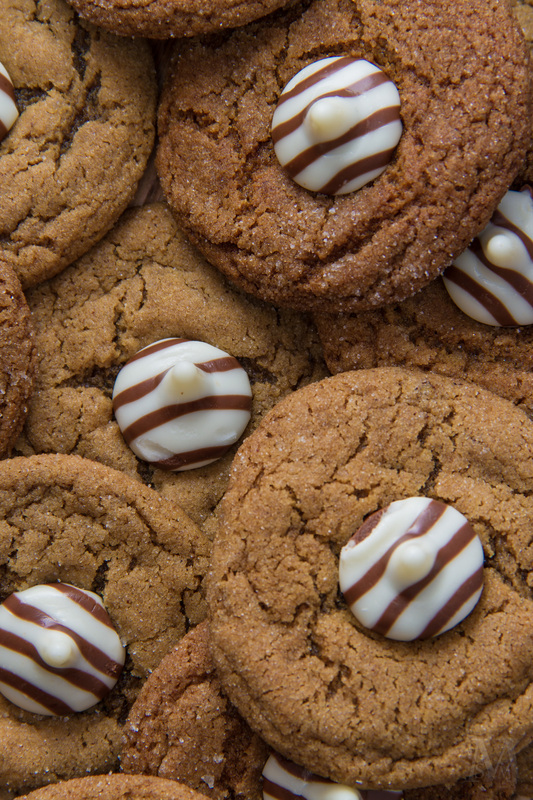 Immediately press an unwrapped candy into the center of each cookie. Let the cookies cool for 5 minutes on the sheets before transferring to a wire rack. Today I have two matters of business to discuss with you. Since one of them involves a delicious dessert and the other happens to be a bit of bad news, there’s no question which one comes first. Dessert should always come first. 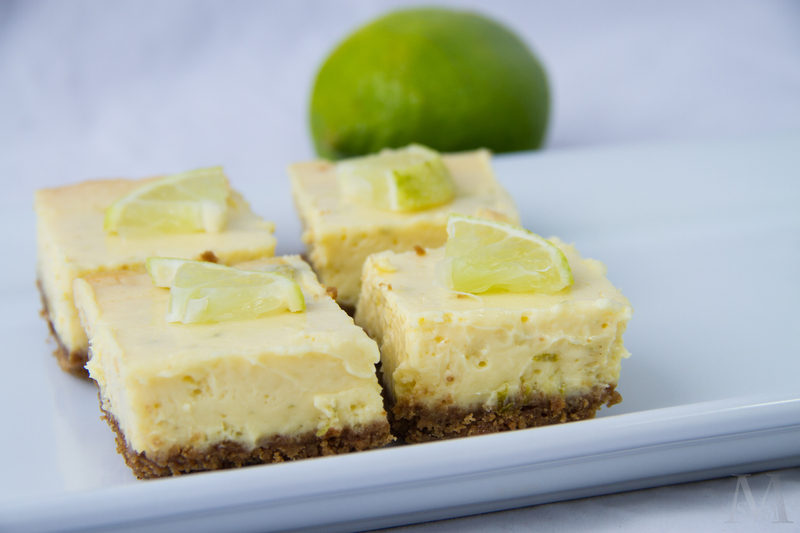 These Key Lime Cheesecake Bars with Gingersnap Crust are like a cross between key lime pie and key lime cheesecake, but in bar form. In other words, they’re smooth, creamy, and perfectly balanced between sweet and tart. Instead of a traditional graham cracker crust, this crust is made with crushed gingersnaps. I was a little leery of the ginger-lime combo at first, but one bite totally won me over. The crunchy, slightly-spicy cookie crust is an unexpected but delicious partner to the cool, creamy lime filling. 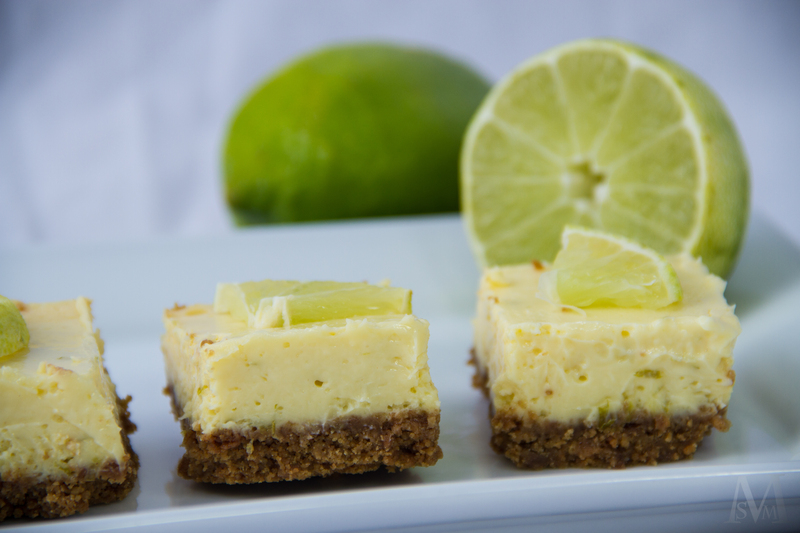 Using key lime juice really makes a difference in these. You could use regular lime juice and I’m sure they would still turn out delicious, but the key lime has a more tropical, complex flavor that really takes these over the top. Bottled key lime juice will work perfectly if you don’t have access to fresh key limes (I know I don’t!) and is usually found in the unrefrigerated juice section. Celebrate the end of summer with these fantastic little bars. 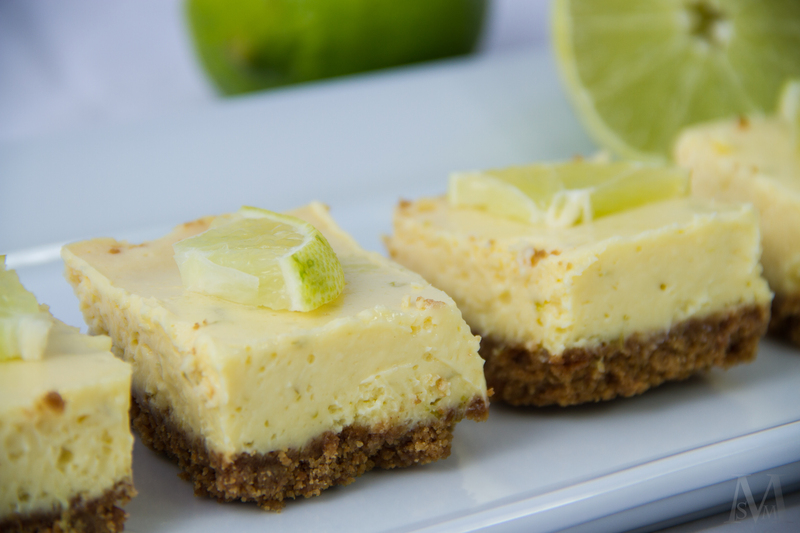 They’re SO much faster and easier than a full-out key lime pie (and most definitely easier than a cheesecake) but they manage to pack in all the same textures and flavors you’d expect from a more elaborate dessert. 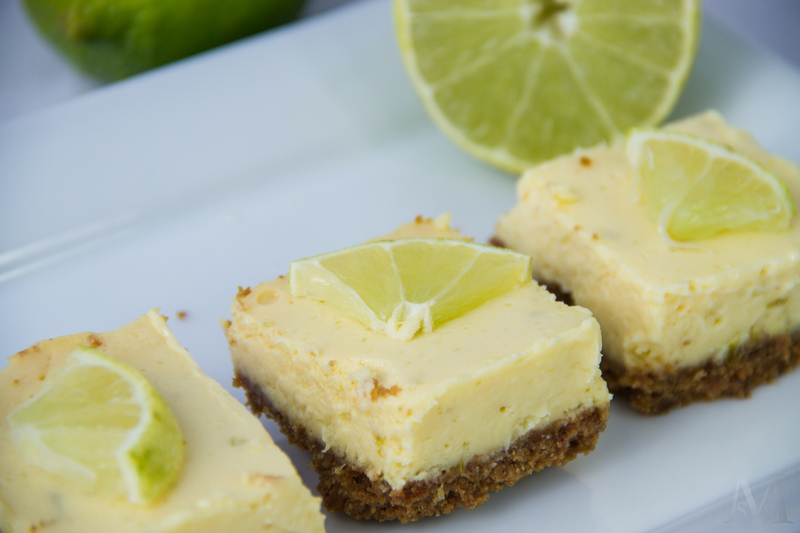 Crumbly gingersnap crust + creamy, sweet-tart key lime filling = bliss. Second order of business: Emma’s Baking Addiction. As I’ve mentioned before, I head off to college on Monday, aka my life is going to change A LOT! Unfortunately this means that my blog will be taking the back seat for awhile. I’ll probably check in from time to time, but without access to a real kitchen and baking equipment (and my stellar photographer of a brother), there probably won’t be any new recipes for quite some time. Sad, I know. I can’t imagine that this will be the last of my blogging career, though. Although I’ve just gotten started, I love it too much to quit. Writing and baking are two of my very favorite things in the world, and I wouldn’t be surprised if I come back to food blogging later down the road. So for now, please enjoy looking back on all the posts I’ve done in the past year and keep your eyes out for my little updates. A huge thank you to all my readers! Preheat oven to 350 degrees F. Line an 8″x8″ baking pan with aluminum foil, leaving an overhang. Spray lightly with baking spray and set aside. In a medium bowl, stir together the gingersnap crumbs and melted butter. Firmly press the mixture into the bottom of the prepared pan. Bake for 10 minutes while you make the filling. In a large bowl, use an electric mixer to beat the cream cheese until smooth. Beat in the egg yolks one at a time, scraping down the bowl as needed. Mix in the sweetened condensed milk, key lime juice, and lime zest until well-combined. Pour the mixture into the hot crust. Bake for 18-20 minutes or until the edges are just beginning to brown and the top is set. Bars will still be slightly jiggly. Let the bars cool on a wire rack for 1-2 hours, or until they reach room temperature. Chill the bars for at least 2 more hours, then lift them out of the pan and slice into squares. Leftover bars can be stored in an airtight container in the refrigerator. Last year I received a wonderful Christmas gift: a cookie jar! Surprisingly enough, although I’ve been an adamant cookie-baker since I was about five, I’d never actually owned a cookie jar to fill with my creations. Tupper-ware containers and saran wrap-covered plates did the job, but there’s something so thrilling about reaching your hand into a cookie jar and pulling out a homemade cookie. I love my new(ish) cookie jar. It’s off-white, with a speckly blue lid and a painting of a rooster on the front. It sounds weirder than it looks, I promise. The rest of my family also loves our cookie jar, especially my dad and brother. When I first got it I made even more cookies than usual, and they trained themselves to reach into the cookie jar hoping for a treat every time they wandered through the kitchen. Then a little problem occurred. One day as I was unpacking a large amount of groceries, I ran out of room in the fridge. Luckily the only produce I had left was a bag of potatoes, which can easily be stored at room temperature. However, the counter was also pretty jam-packed with food…(when I grocery shop, I grocery shop hard!) Hah. So my pretty little potatoes (which were actually, like most potatoes, not so pretty) had no place to live. Until I spied the empty cookie jar sitting suggestively in the corner…aha! Out came the cookie jar, in went the potatoes, on went the lid, and I thought nothing of it. The good news is that right now, the cookie jar is not empty. It is not filled with potatoes. 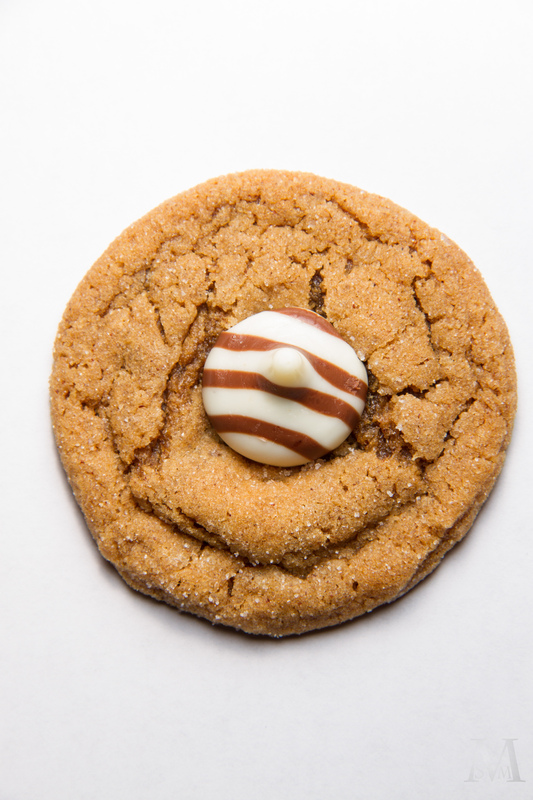 It is filled with soft, chewy, sweet, spicy, delicious pumpkin gingersnaps! I found this recipe last fall and fell in love with it. 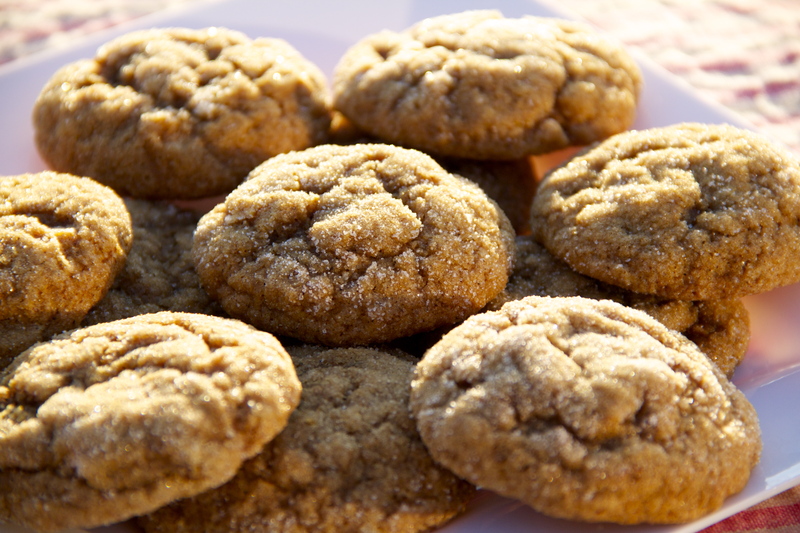 These cookies have everything to love about gingersnaps (warm spices, molasses, sugar-coating) but with a twist of pumpkin. 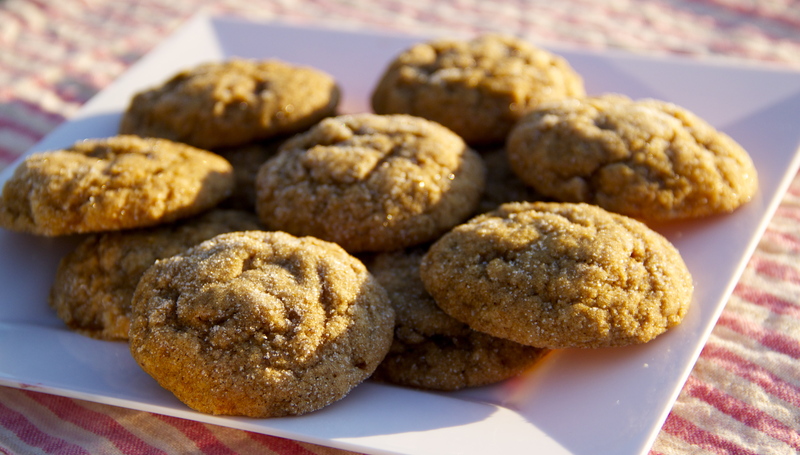 These Pumpkin Gingersnaps would be a great addition to your fall/winter baking list! And they’re much, much better than a potato. In a medium bowl, whisk together the flour, baking soda, salt, cinnamon, ginger, and cloves. Set aside. Using an electric mixer, beat together the butter and sugar in a large bowl until light and fluffy. Add in the egg, pumpkin puree, molasses, and vanilla. Mix well. Gradually add in the dry ingredients, mixing until combined. Cover dough and refrigerate for at least 1 hour and up to 3 days. When ready to bake, preheat oven to 350 degrees F. Line cookie sheets with parchment paper or baking mats. Pour a few tablespoons of granulated sugar into a shallow bowl. Scoop dough by tablespoonfuls, roll in the sugar, and place 2 inches apart onto prepared cookie sheets. Bake for 10-12 minutes or until tops are crackly and set, but cookies are still soft. Let cookies cool on the sheets for 2-3 minutes before transferring to a wire rack. Enjoy!